N 45° 26' 2" and E 4° 23' 23"
Saint-Étienne in Loire (Auvergne-Rhône-Alpes) with it's 176,280 inhabitants is a city in France about 255 mi (or 410 km) south-east of Paris, the country's capital. 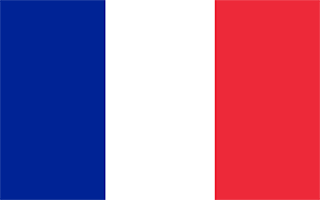 Local time in Saint-Étienne is now 11:19 PM (Monday). The local timezone is named Europe / Paris with an UTC offset of 2 hours. We know of 10 airports in the vicinity of Saint-Étienne, of which two are larger airports. The closest airport in France is Saint-Étienne-Bouthéon Airport in a distance of 9 mi (or 14 km), North-West. Besides the airports, there are other travel options available (check left side). There are several Unesco world heritage sites nearby. The closest heritage site in France is Historic Site of Lyons in a distance of 31 mi (or 51 km), North-East. If you need a place to sleep, we compiled a list of available hotels close to the map centre further down the page. Depending on your travel schedule, you might want to pay a visit to some of the following locations: Montbrison, Yssingeaux, Vienne, Lyon and Tournon-sur-Rhone. To further explore this place, just scroll down and browse the available info. Let's start with some photos from the area. 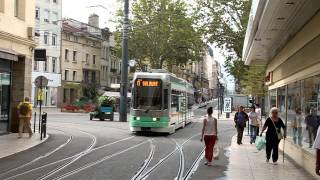 2 trams of the Saint-Étienne tramway network in France at the busiest line of the STAS, the T1. 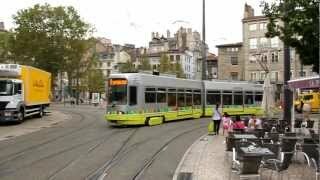 Echange voyageur à bord d'une rame de tramway Alsthom Vevey TFS de Saint-Étienne. 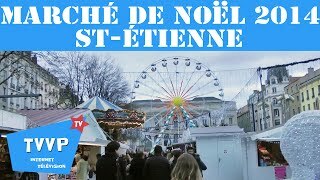 Retrouvez ce reportage réalisé par l'équipe de tournage TVVP sur notre site internet tvvp.tv ! A TFS-tram of the metric gauge tramway of Saint-Étienne in France, august 2012. ASSE-Ajaccio, Saint-Etienne Coupe d'Europe ! 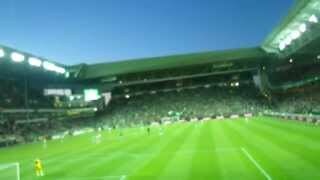 Match ASSE-Ajaccio à Geoffroy Guichard le 17 mai 2014, Saint-Etienne en Coupe d'Europe ! 4ème place pour les Verts, devant Lyon. Ambiance de fou tout le long du match ! 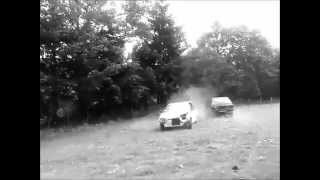 En mode STOCK CAR clio vs Ax Chacun sa façon de s'amuser !!! (sur terrain privé) ;) zesau - delbor. 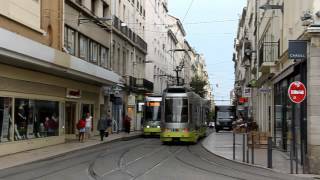 A tram of line T1 in Saint-Étienne in the Rue Général Foy in the city center. Located at 45.5247, 4.24972 (Lat. / Lng. ), about 9 miles away. Stade Geoffroy-Guichard is a multi-purpose stadium in Saint-Étienne, France. It is used primarily for football matches, and tournaments such as the 1984 European Football Championship, the Football World Cup 1998 and the Confederations Cup 2003. It is also used for rugby union, and was a venue at the 2007 Rugby World Cup. Located at 45.4608, 4.39028 (Lat. / Lng. ), about 2 miles away. Saint-Étienne-Châteaucreux is the main railway station of the town of Saint-Étienne. The station is situated in Châteaucreux, to the side of the town centre a little way away of the busy area of Saint-Étienne centre. The station is linked to the town centre by the town's second tramway line. It is situated at a junction of railway lines: Moret–Lyon (via Nevers and Roanne), and lines to Clermont-Ferrand and Le Puy-en-Velay. Located at 45.4433, 4.39944 (Lat. / Lng. ), about 1 miles away. Saint-Étienne – Bouthéon Airport or Aéroport de Saint-Étienne - Bouthéon is an airport serving the French city of Saint-Étienne. It is located in Andrézieux-Bouthéon, 12 km north-northwest of Saint-Étienne, within the département of Loire in the Rhône-Alpes région. "Saint-Étienne – Bouthéon Airport" is used by low-cost companies (Ryanair, Pegasus Airlines) like an alternative Lyon airport. Located at 45.5406, 4.29639 (Lat. / Lng. ), about 9 miles away. The 33rd IAAF World Cross Country Championships were held 19-20 March 2005 in Saint-Étienne (accommodation) and Saint-Galmier (competition), France. Located at 45.5989, 4.295 (Lat. / Lng. ), about 12 miles away. Saint-Pierre is a concrete building in the commune of Firminy, France. The last major work of Le Corbusier, it was completed in 2006, forty-one years after his death. Located at 45.3836, 4.28634 (Lat. / Lng. ), about 6 miles away. The Ecole nationale supérieure des mines de Saint-Étienne (Mines Saint-Etienne) (ENSMSE) is one of the French generalist engineering schools Grandes Ecoles. 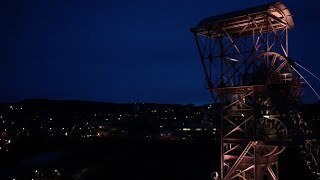 The Ecole nationale supérieure des mines of Saint Etienne is one of the French "Grandes Ecoles" dedicated to training highly qualified engineers and to carrying out research to meet the needs of industry. Located at 45.4278, 4.40389 (Lat. / Lng. ), about 1 miles away. The Cathedral of Saint Charles Borromeo is a Roman Catholic cathedral church in Saint-Étienne, France. It has been the seat of the Bishop of Saint-Étienne since the foundation of the diocese on 26 December 1970. The church, dedicated to Saint Charles Borromeo, was constructed between 1912 and 1923 in a primitive neo-Gothic style, on a Latin cross groundplan with transept and triple nave, and a belltower on the west front. Located at 45.441, 4.38456 (Lat. / Lng. ), about 1 miles away. 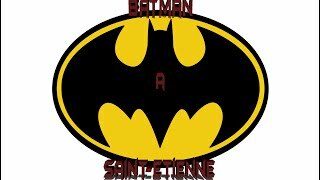 The Roman Catholic Diocese of Saint-Étienne is a Latin Rite Catholic diocese in France, based in the city of Saint-Étienne in the Loire department. It was established on 26 December 1970 out of the Archdiocese of Lyon-Vienne and consists of the arrondissements of Saint-Étienne and Montbrison, thus constituting the greater part of the department of the Loire. Located at 45.4131, 4.39889 (Lat. / Lng. ), about 1 miles away. Jean Monnet University (Université Jean Monnet, or Université de Saint-Etienne) is a French public university, based in Saint-%C3%89tienne. It is under the Academy of Lyon. The main campus is located in Tréfilerie, in the city of Saint-Etienne. It gather arts, languages and letters courses, with law, economics and management, human sciences and the Maison de l'Université (administrative building). Located at 45.4267, 4.39166 (Lat. / Lng. ), about 1 miles away. The Château de Grangent is a castle in the commune of Saint-Just-Saint-Rambert in the Loire département of France. At the time of its construction, originally around 800, it was on a promontory standing some 50 metres above the Loire River. The building of the Grangent dam means that it is now on a small island in a lake, the lac de Grangent. It is overlooked by the larger castle, the Château d'Essalois. Located at 45.4649, 4.25389 (Lat. / Lng. ), about 7 miles away. The Château d'Essalois is a restored castle in the commune of Chambles in the Loire département of France, overlooking a dammed portion of the Loire River, Lake Grangent. Located at 45.4622, 4.24583 (Lat. / Lng. ), about 7 miles away. The Jardin botanique de Saint-Chamond (7,000 m²) is a botanical garden located at 4 chemin du Jardin Botanique, Saint-Chamond, Loire, Rhône-Alpes, France. It is open by appointment. The garden was created by Michel Manevy on the site of a former peach nursery. It now contains about 4,500 plants arranged into various gardens including English and Japanese gardens, Italian garden, herb garden, a pergola, and a pathway paved as an Aztec calendar. Located at 45.4775, 4.51528 (Lat. / Lng. ), about 7 miles away. Lac de Grangent is a lake in Loire, France. At an elevation of 420 m, its surface area is 3.65 km². Located at 45.45, 4.25 (Lat. / Lng. ), about 7 miles away. The Église Saint-Polycarpe (Church of St. Polycarp) is a church located in the 1st arrondissement of Lyon, on the slopes of La Croix-Rousse, between rue René Leynaud, rue Burdeau and passages Mermet and Thiaffait. It is the oldest church of the Oratory of Saint Philip Neri. Located at 45.4612, 4.5001 (Lat. / Lng. ), about 6 miles away. ENISE (École Nationale d'Ingénieurs de Saint-Étienne) : National Engineering School of Saint-Étienne ENISE is a highly selective French public engineering school which offers five-year course in engineering after the baccalauréat, in the fields of Mechanical Engineering, Civil Engineering and Sensory Engineering. The school delivers the Diplôme d'Ingénieur in Mechanical Engineering and in Civil Engineering. Located at 45.43, 4.42167 (Lat. / Lng. ), about 2 miles away. Stade Etivallière is a sports stadium located in Saint-Étienne, France. It hosts the matches of CA Saint-Étienne of the Rugby Pro D2. It has a current capacity of 3,000 leading to the club occasionally playing bigger matches at the larger Stade Geoffroy-Guichard, home of AS Saint-Étienne. Located at 45.4617, 4.38694 (Lat. / Lng. ), about 2 miles away. The Château de Rochetaillée is a ruined feudal castle in the city of Saint-Étienne in the Loire département of France. The castle's construction dates from the 12th century, with additional work in the 16th century. It has been listed since 1930 as a monument historique by the French Ministry of Culture. Located at 45.4101, 4.4461 (Lat. / Lng. ), about 3 miles away. 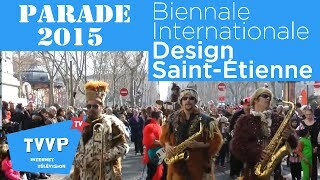 These are some bigger and more relevant cities in the wider vivinity of Saint-Étienne.